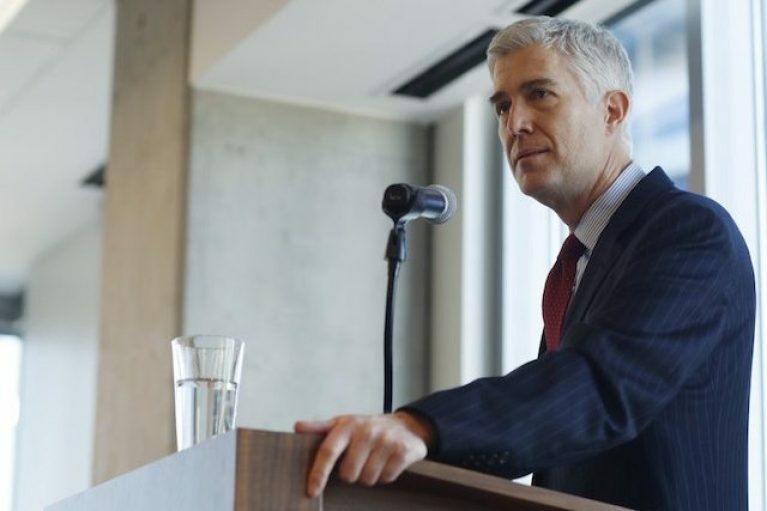 Neil Gorsuch was announced as President Trump’s nominee for the Supreme Court on 31st January 2017, leading many to examine his stance on prevailing controversial issues, such as end-of-life care and abortion. Answers may be found in his 2006 book, ‘The Future of Assisted Suicide and Euthanasia’, which showcases his opinion against euthanasia and the right to die. Whilst he is religious, his book relies not on theological arguments but well-substantiated, academic and philosophical principals to support his position. Should he be confirmed, many in the field will watch his progress with interest. As he approaches the debate from his DPhil, Gorsuch claims, “all human beings are intrinsically valuable and the intentional taking of human life by private persons is always wrong.” Currently, the AMA allows physicians to withhold treatment and let patients die, but does not allow any direct intervention that would kill the patient, which is a system Gorsuch agrees with. But, there is a moral significance that differentiates both intentional acts of killing and letting die. When death is the lesser of two evils, perhaps it is permissible to provide a treatment that would reduce their pain, but still lead to their death. It may be more humane to quickly kill someone than put them through a slow, painful death. Further, Gorsuch argues that institutionalizing a right to die might make people worse off. By giving patients this choice, they are deprived of not having a choice to make. They are now obliged to make a decision that once was not even existent. Additionally, he fears that the legalization of assisted suicide would discriminate against those with disabilities, pressuring them to succumb to death. He argues that pain reduction is not a strong enough reason to legalize assisted suicide, especially under circumstances such as depression, which is a treatable condition. The worry for potential abuse is a valid one, but this is where the law must come into play. Policymakers must regulate the circumstances in which “death with dignity” is applicable. Death might not deprive someone; rather, it may prevent someone from living a worse life. His book touches upon the topic of abortion with the 1992 case, Planned Parenthood vs. Casey. His interest stems from determining which rights should be protected by substantive due process. With abortion, the woman’s right to autonomy must be considered; however, with assisted suicide, the autonomy of those who want to dictate their death and of those who are vulnerable to wrongful death must be considered. Additionally, Gorsuch does not believe that one has the right “to define one’s own concept of existence.” If this were granted, activities including prostitution, polygamy, and drug legalization would also have to be permitted. As politicians dictate women’s bodies, the likelihood of another federal case is immense. Now, although support for “death with dignity” laws have gained momentum and have been passed in states such as California and Colorado, we can undoubtedly predict how Gorsuch would respond to end-of-life cases if they appeared in the Supreme Court. What the public does not have clarity on are his responses to issues such as abortion and contraception. President Trump insisted on appointing a “pro-life” judge, but Gorsuch has the potential of being a wild card.